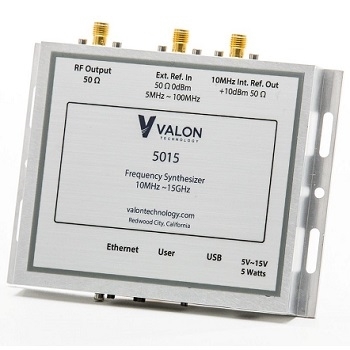 Valon Technology has announced the availability of a wide-band frequency synthesizer that uses multiple phase-lock loops to provide high-level, low-phase noise signals throughout the 10 MHz to 15 GHz range. The Valon 5015 has been designed for use in critical frequency synthesis and clocking applications. 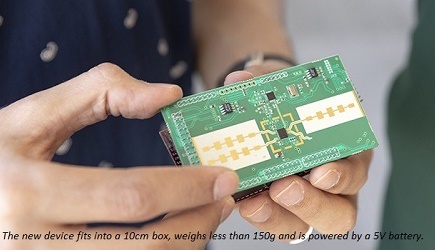 High RF power output across a wide frequency range >13 dBm, typically 15dBm. The Valon 5015 frequency synthesizer costs $1,795 plus shipping. First customer shipments will commence mid-June. Click here to learn more about this product.